Cain was a very talented Animalier sculptor who created a wide variety of works. He did several fine bronzes of poultry and his Roosters and Hens are always well modeled and true to life. The strutting Rooster has long been a symbol of pride and freedom. Other French sculptures of crowing cockerels have been used a patriotic ideals as well as symbols of male virility. 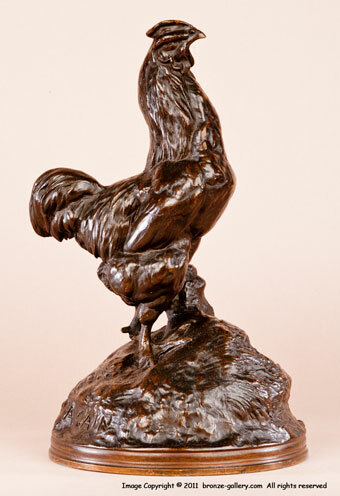 This fine large bronze of a Rooster was cast in Mene's own foundry which his son in law Cain managed in the mid 1860s. These bronzes have superb detail and exceptional patinas which the later casts lack. The bronze has a rich dark brown patina with a molded round base. 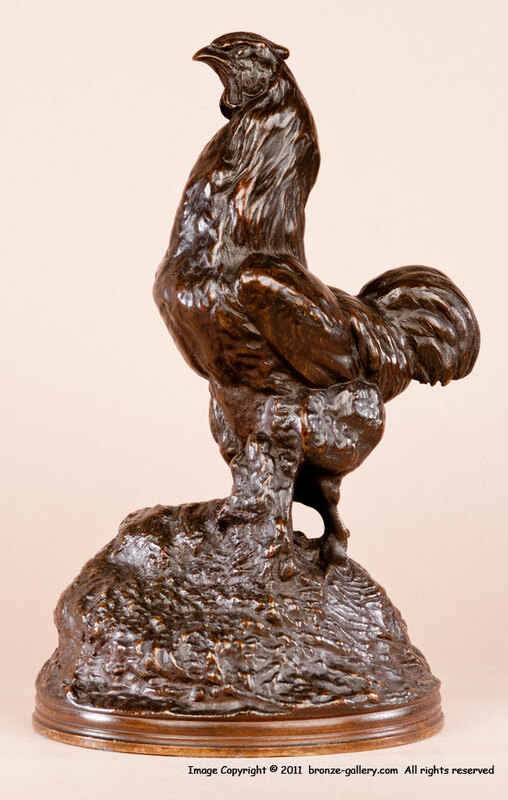 This Rooster is one of Cain's best works, it is a rare model and not often offered for sale.